After a brisk morning walk last weekend, it's time to go for something delicious for breakfast. My better half suggested to have laksa which he knows is one of my favourite. But I chose my other favourite, that's fish meehon soup. every time I see this, I could not resist to fill up the sauce dish. Very appetizing. 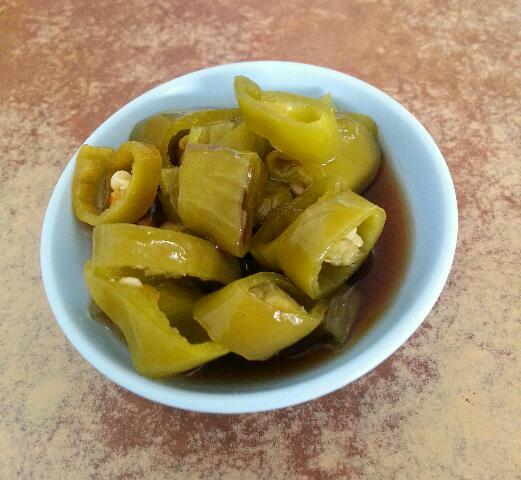 I could finish a bowl of rice with just this preserved green chilies. I like it! Fish mee hoon in clear soup. Hi Agnes, laksa is also one of my favourite. 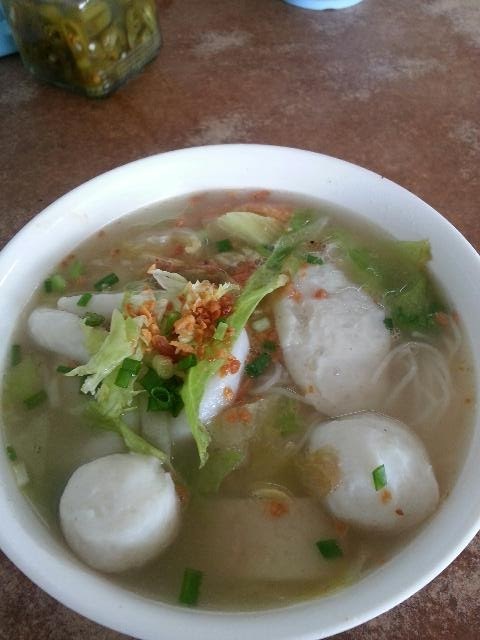 I seldom go for plain soup unless I am not feeling well. 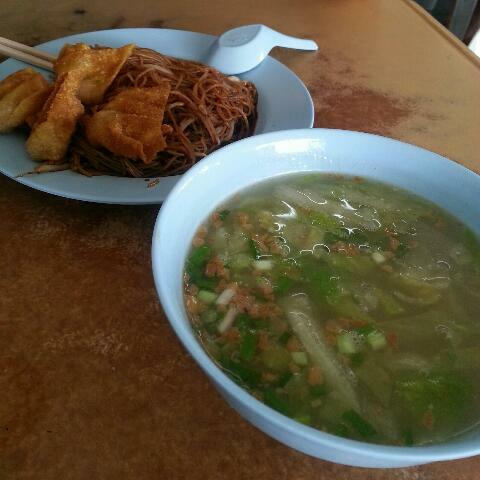 When I see the pickled green chilies, I think of wanton noodles.